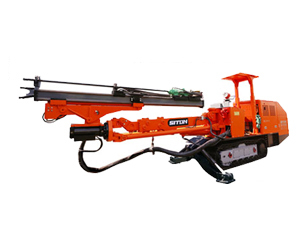 Siton face drilling rigs are used for blast hole drilling in underground mining and tunneling. So our underground drill rigs are widely applied in mining, metallurgy, water and electricity, railway, highway engineering, and other industries. 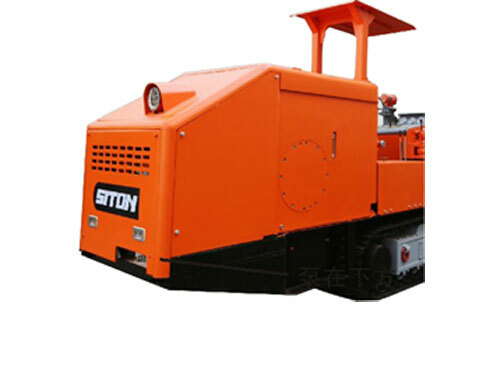 Siton drilling jumbo can be used in small as well as big tunnel section. 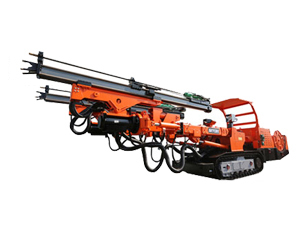 Double boom mining jumbo drill is equipped with special hydraulic drill boom. 1) High Efficiency: Drill boom of the underground drill rig is improved in location accuracy and speed, which greatly increases working efficiency. 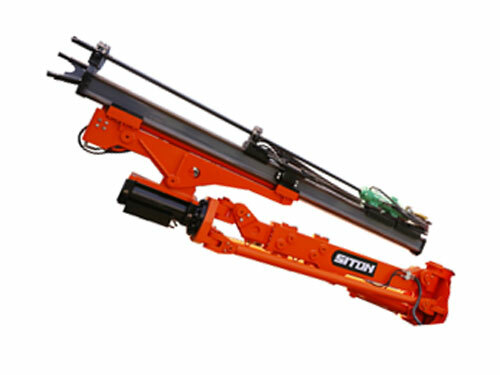 2) 360º Punching Range: Telescopic boom compensates displacement difference generated by drill arm when moving downward. 3) Stable Force: The square cross-section beam design of upper arm makes overall force on drill boom more stable. 4) Flexible Movement: Rotary motor in the front of upper arm makes the whole feed mechanism move flexibly (± 180°). 1) High Efficiency: Rock drill we employed is imported from France Montabert SAS. It can be used to drill rock whose maximum hardness reaches up to 15. Its efficiency is two to four times of traditional handheld rock drill. Imported rock drill has hydraulic compensation system, which can prevent failed hit caused by operation errors. 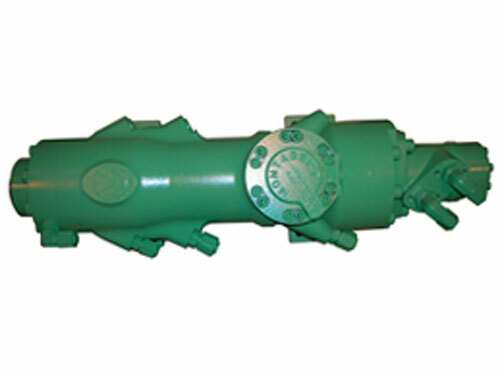 2) Long Service Life: Special shank structure is designed to eliminate reaction of the strike, which can extend service life of underground drill rig. 1) The oil tank is located over the oil pump. Unlike the traditional tunnel drilling jumbo, oil pump of the drilling equipment is free of cavitation erosion caused by oil lack. 2) Multiple filtration system improves oil cleanliness and reduces failure of hydraulic system. 3) Rational pump flow and efficient water cooler ensure that the system can maintain normal oil temperature after long hours' working. 4) This underground drill rig adopts stepwise compression technology, which optimizes the match between propelling force and impact force, and improves the positioning and drilling efficiency. 5) Manual controlling handle is employed to make operation more easy and convenient. 1) Large Power Work Light. 3) Liftable and Lowerable Safety Ceiling (Conforming with FOPS Requirement). 2) Large/Small Power Diesel Engine.